I guess most of you will have heard of Scandinavian Noir, but how about Asian Noir? 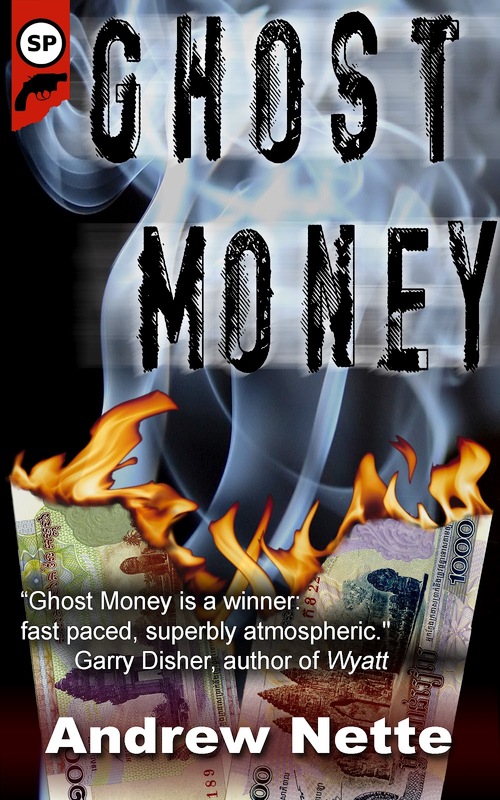 Well, it was a new one on me, but if Andrew Nette’s debut crime novel Ghost Money is anything to go by then it’s a genre that has much to offer. Ghost Money is set in the mid 90’s to the back drop of political change in Cambodia and the final death throws of the brutal Khmer Rouge. It is a land in turmoil, rife with mercenaries and opportunists. Max Quinlan is an ex-cop from Australia with a South East Asian heritage. Since his move to the private sector he has made his living by finding people, not all of whom want to be found. Quinlan has been hired to track down Charles Avery, a missing Bangkok businessman. The search leads him from the strip clubs and teeming bars of Bangkok to Cambodia’s corrupt capital, Phnom Penh and the volatile country beyond. It soon becomes clear that Quinlan is not the only one on Avery’s trail. Andrew Nette has a way with words that is very easy on the eye. His prose is crisp and spare; his characters are both believable and fully formed. In Quinlan, his cynical protagonist, he has created a magnetic leading man far removed from the stereotypical ex-pat detective. The tightly wound plot is full of intrigue and very well worked, always keeping the reader engaged and on their toes. Above all there is a very real sense of place and the broken heart of Cambodia bleeds through the pages of this story like an open wound. In Ghost Money Andrew Nette has captured the feel and atmosphere of a classic 40’s noir tale and injected it with the vibrancy and color of modern Asia to produce an evocative and very accomplished book. With the good folks at Snubnose Press embracing the Christmas spirit and discounting all of their titles for the whole of December, there has never been a better time for you to sample this Far Eastern delight.